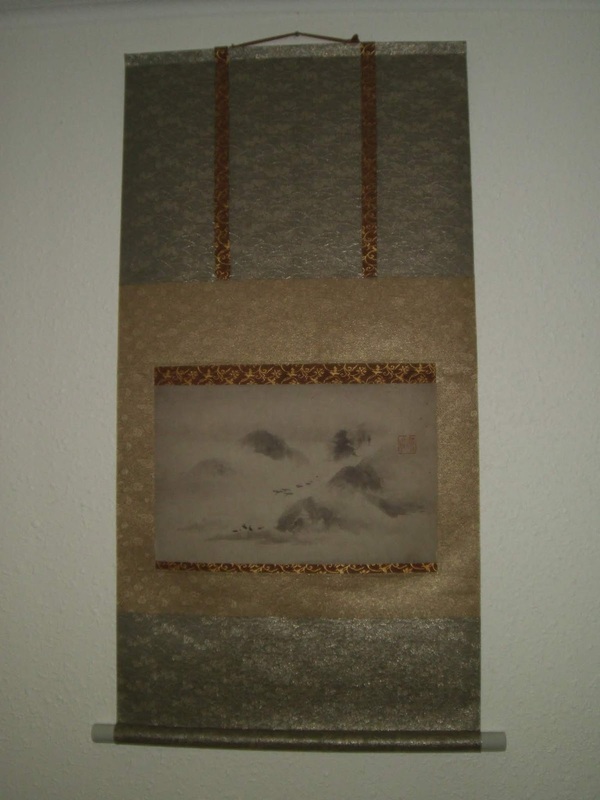 This was a scroll I made of the print of the original by Japanese painter Unkei Eii called Misty Mountains. 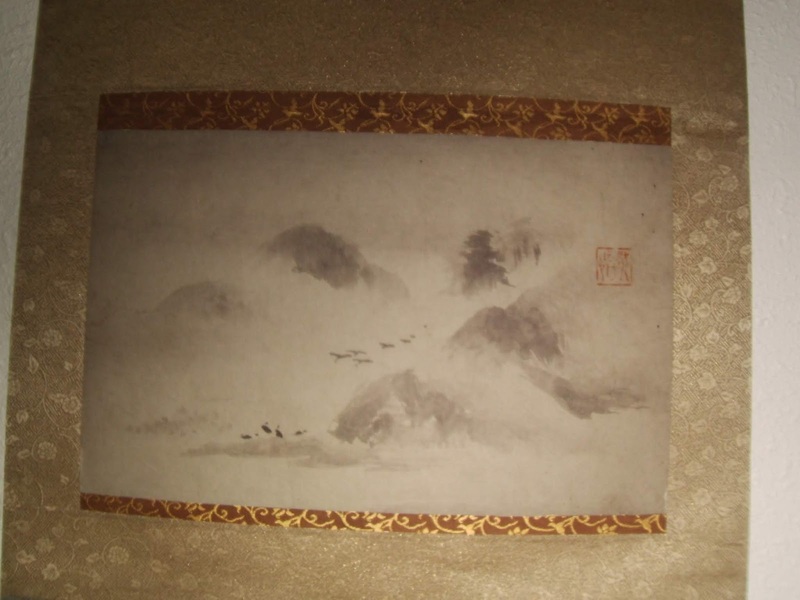 It is a landscape in the Haboku (破墨) style. This style is characterized by layering contrasts of the black, gray and white of the paper and ink. Ha the first character is the other reading for the verb to break and boku is ink. So it is sometimes translated as a broken ink style. The scroll is completed by utilizing a dark brown Ichimonji with a large karakusa. The Chuumawashi is is a gold karakusa, and the gray Ten/Chi has a semi-wave pattern. It was made in the Yamato Hyougu style of scrolls, and the hanging string is the Cha (Brown) with a ceramic off white jikusaki.